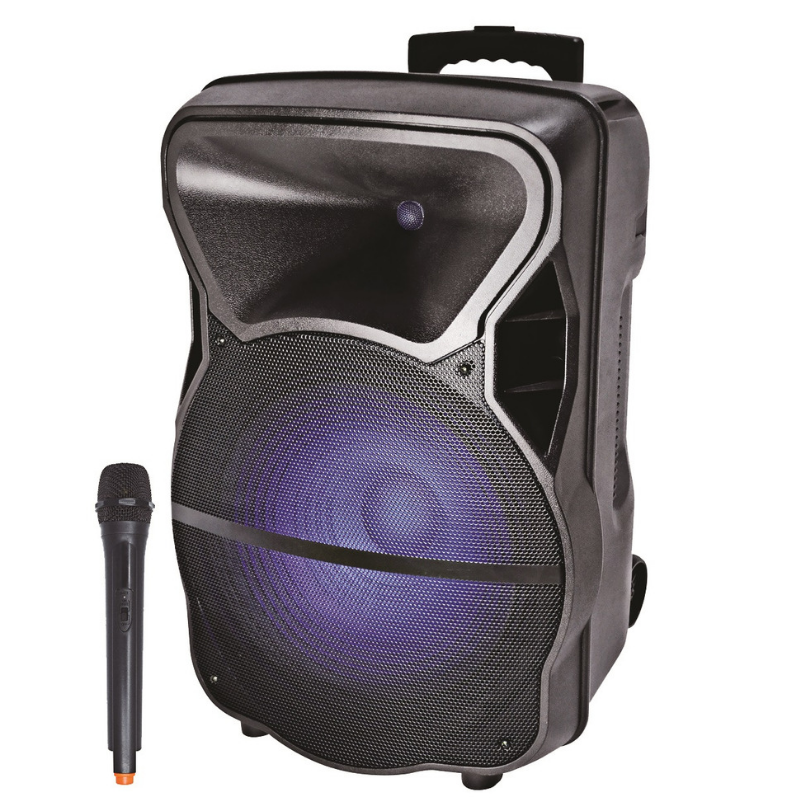 ​The SZC-107BW is a Bluetooth capable 250-watt rechargeable powered 12 & Horn speaker that features a built in battery with a 4 hour play back time after a full charge. The 1207 has an on board VHF wireless receiver and a single Hand held wireless mic. It also features a separate ¼”input channel to facilitate a wired microphone as well. This speaker can be paired via Bluetooth to stream music wirelessly from compatible sources like a smart phone. 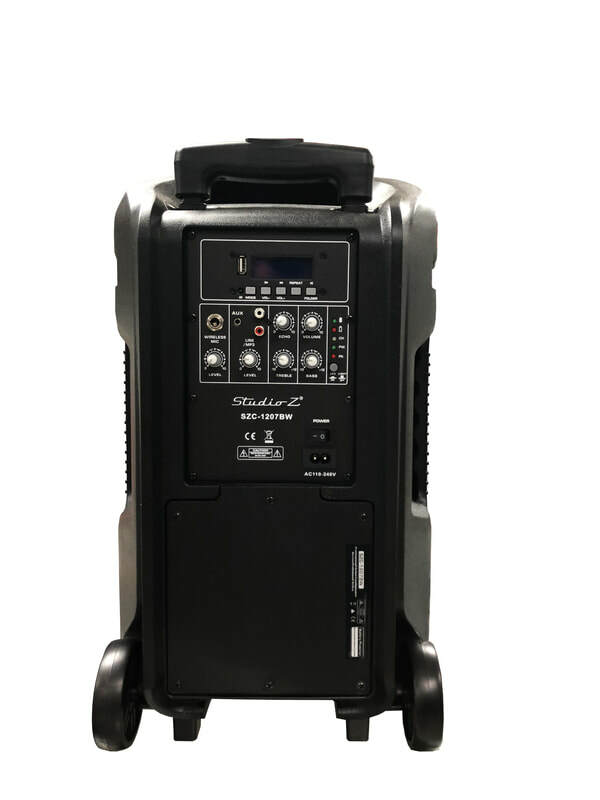 This unit will also read MP3 files from a USB stick and offers a wide range of applications from Stage, DJ public address . This unit also features rear wheel and a retractable handle for easy transport as well as built in colored lights that can be turned on or off as desired.